LOS ANGELES, CA. 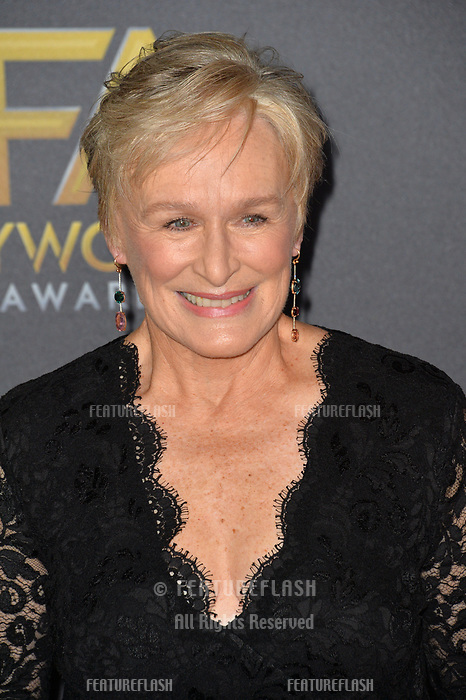 November 04, 2018: Glenn Close at the 22nd Annual Hollywood Film Awards at the Beverly Hilton Hotel. Picture: Paul Smith/FeatureflashLOS ANGELES, CA. November 04, 2018: Wendy Starland at the 22nd Annual Hollywood Film Awards at the Beverly Hilton Hotel.